Camden Town Brewery’s Beer 2018 is inspired by a classic German Pilsner and the Old Fashioned cocktail. And it's stunning. 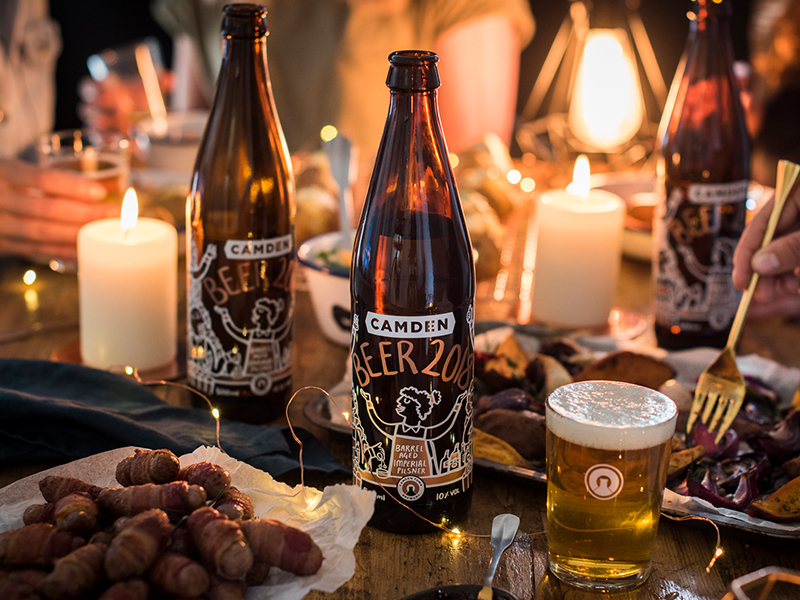 Camden Town Brewery’s Beer 2018 is a modern-age spin on two granddaddies of the drinks world. It is inspired by a classic German Pilsner and the Old Fashioned cocktail, it’s spicy, citrus and rich. Beer 2018 is brewed with Mandarina Bavaria hops, which give the beer it’s orange peel character, then aged in bourbon barrels for six months. There is nothing like this annual release. And Beer Hawk has snaffled a few. The one-off beer is the go to for lovers of beer and cocktails alike (so… everyone.) This copper screen-printed sharing bottle has been illustrated by London-based artist Alice Bowsher. The beer is ideal for sharing, may we suggest the Christmas dinner table? Camden Town Brewery’s Beer 2018 500ml bottle will be available for a limited time only and once it’s gone, it’s gone! Beer 2018 has an ABV of 10% and will for £7.99 from 21st November. In case you missed the explosion of teddy bears and chocolate roses love is apparently in the air. And while you’ve been trying to decide on the perfect Valentine gift for other half this year, we've been busy scouring the shelves for the most tenuous Valentine’s Day-related beers we could find. Enjoy. What is RateBeer and why should you care? Want an article full of terrible puns? No? How about 10% off these fangtatsic beers?